It’s happened to the best of us. A customer goes on Yelp to leave a review, ends up writing a 5 star masterpiece longer than most Hemmingway novels, and Yelp filters it out. Not only is your business deprived of an awesome review – chances are that your formerly satisfied customer is a little ticked off, too. So what do you do about it? The review may be hidden from the business page, but it’s still clearly visible on the user’s own page. More importantly, it’s still getting indexed by Google. Republishing filtered reviews definitely isn’t deceptive – they’re still real reviews by real customers – and chances are good that the algorithm won’t punish your site for “stealing” a few lines of content. Otherwise, the above quote, stolen directly from Google itself, would put us in the ground. If you recognize the customer’s name, you should also contact them to thank them and send them a link to where it’s embedded. You can also do it via social media, especially if the customer follows you. Either way, chances are good that taking a moment to spread some good will can get more people talking about your business in a positive light, and it may even earn a couple good links to boot. 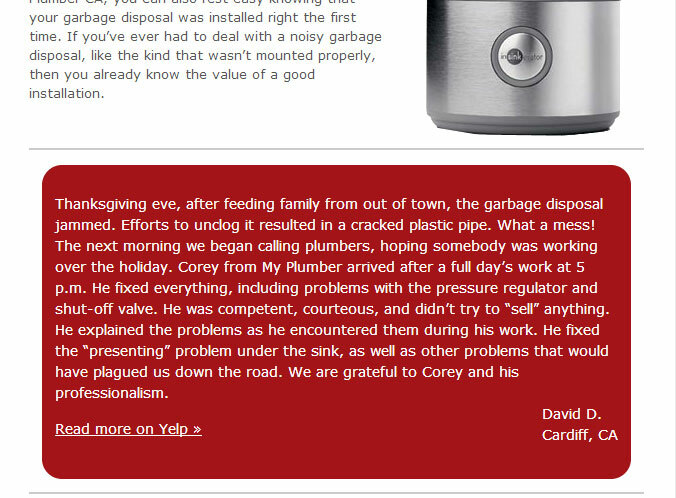 Besides duplicate content issues, there is still another way that republishing filtered Yelp reviews could backfire. Although Yelp is pretty public to begin with, not everyone thinks that way. It’s one thing to talk about your personal medical conditions in a yelp review, but it’s another thing entirely to see it suddenly floating around Facebook. Or worse yet, posted front and center on the company’s site. Depending on the kind of reviews you get, and also the kind of relationships you have with your customers, you may want to consider a little editorial discretion. If you can contact the customer ahead of time, do it. If you don’t recognize the customer, or can’t get in touch with them, you can always edit out the potentially embarrassing parts. A little ellipsis (“…”) goes a long way.